Perhaps the ultimate marketing service - where you only pay when we perform and give you what you want! Our "Leads Machine" service focuses our attention very closely. It's a great way to ramp up your business, but we analyse proposals very closely. This is the beauty of our "Leads Machine" lead generation service - because it is a performance-based service and because we take the marketing risk you only pay for what we produce. And what we produce will be of high quality, completely hot and fresh, and tailored to your specific requirements. Because we started our lead generation activity in 2004 and have evolved quickly just like the internet as a whole we believe we have all the skills required to find the quality sales leads you need. For us, of course, we have to establish early on that there is a viable market for us in your product/service sector. Before we make any rash promises we'll need to find out from you the specification of your target lead. The key to our lead generation activity is to "catch" the enquirer during the "research" phase. Then they will be a hot lead. If they are caught in the "interest" phase they are unlikely to be such a hot lead. 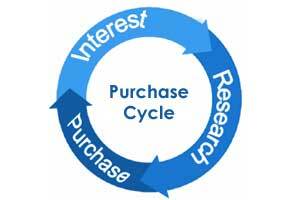 Many other companies lead generation activities act too early in the purchase cycle. Our Leads Machine lead generation model works on a "pull" basis rather than a "push" basis. We find those people who are actually researching your type of product or service now, but don't know where to get it from. So, we know they are in the right part of the purchase cycle - they just need to be reeled in. We do this with our online marketing and then you can close the deal. The alternate "push" model starts with an enormous data list and either sends masses of emails or makes masses of outbound phone calls. However, from our experience this does not produce leads of sufficient quality - typically the person who shows interest is not actually in the right part of the purchase cycle.